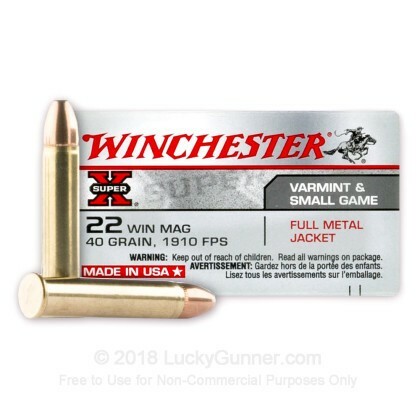 The 22 WMR cartridge was introduced by Winchester in 1959 and continues to be respected as a leading manufacturer in the 22 Winchester Magnum Rimfire cartridge. 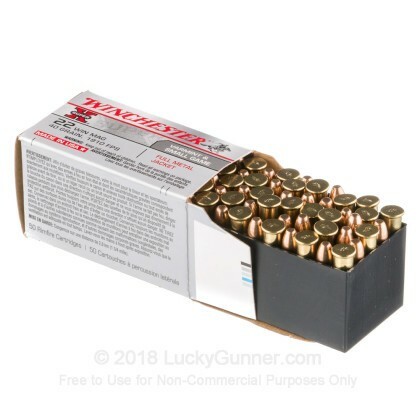 This ammo exits the muzzle at 1910 fps and has a very straight trajectory that's ideal for plinking and target practice. 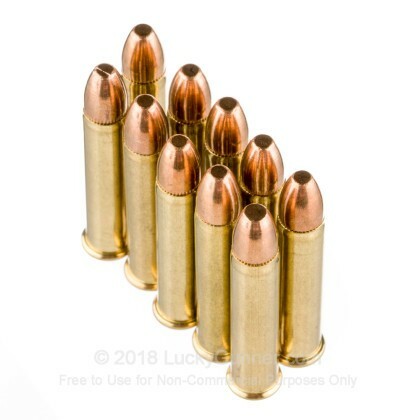 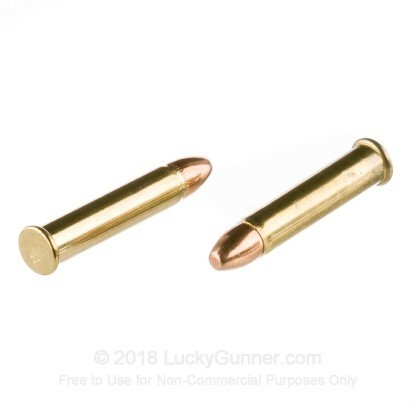 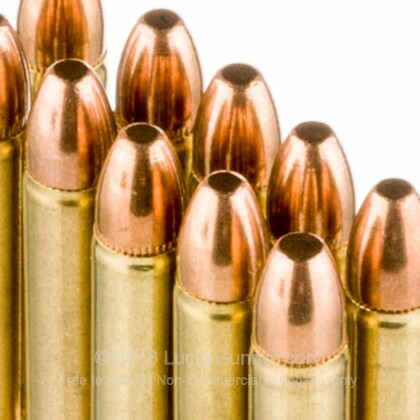 This full metal jacket (FMJ) bullet is designed as an economical and reliable choice for target ammunition. 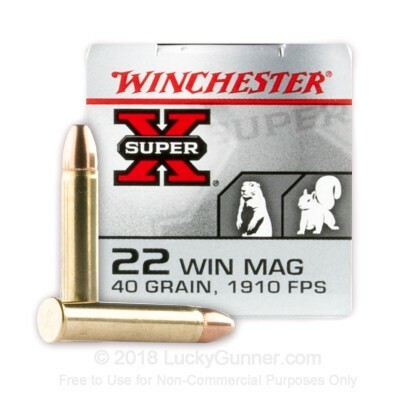 We also have this 22 WMR - 40 Grain FMJ - Winchester Super-X - 250 Rounds ammo in stock in a bigger quantity.